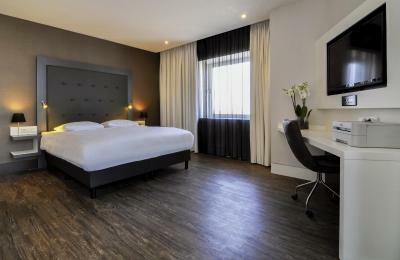 Lock in a great price for Mercure Hotel Amersfoort Centre – rated 8.7 by recent guests! 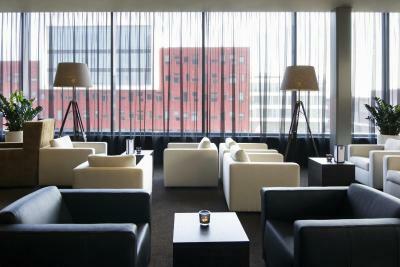 Great location: right at a new urbanisation, close to the new Eemhuis and the old town. Close to the railway station. Large underground parking. Shopping and restaurants all around. 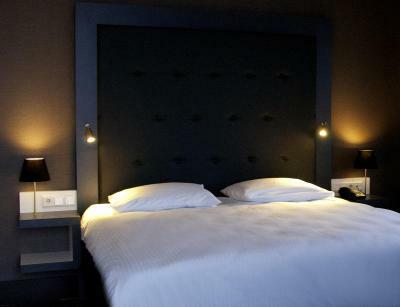 Good price for a night, excellent bed, pillows, shower, TV and room size. Parking 7 euro per night. 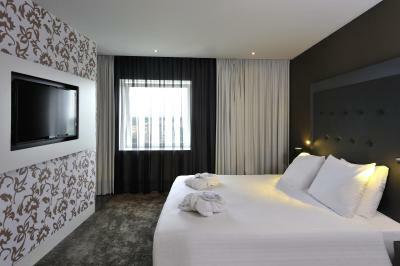 Comfortable bed en spacious (bath)room. 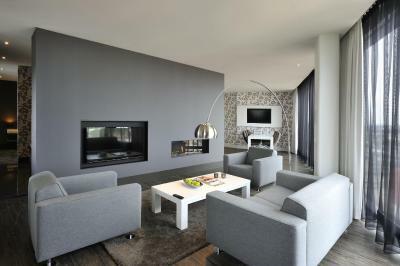 Modern decorated, and clean! 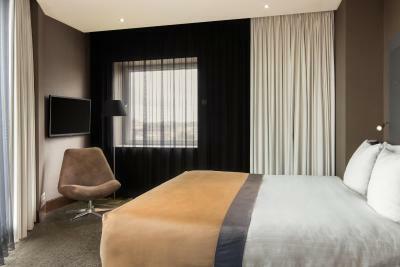 Spacious rooms and bathrooms, courteous staff. We made a special request that was attended to. 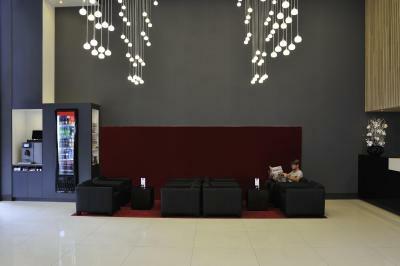 The hotel is nice and modern and conveniently located very close to the central old town. There is a supermarket in the parking garage area. 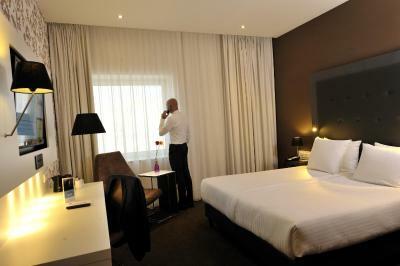 Rooms are spacious and modern and always clean. The internet connection is fast and reliable. Usually the price is a good value. 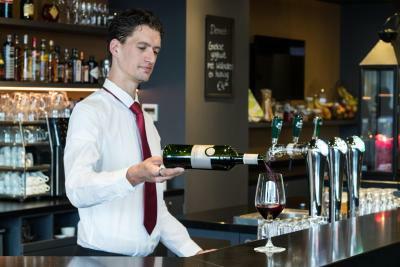 There is a new restaurant that has good food and the bar prices for decent wine by the glass are reasonable. 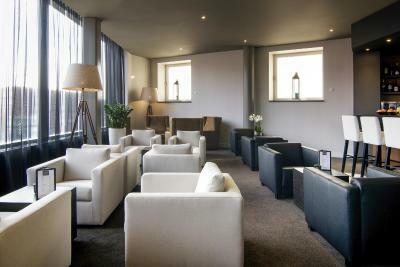 The train station is in easy walking distance or there is a bus that stops by the hotel that goes to the train station. The floor heating is wonderful! Friendly stuff and comfortable beds. Room was beautiful for its price. Location is great with the buses and supermarkets right next door. 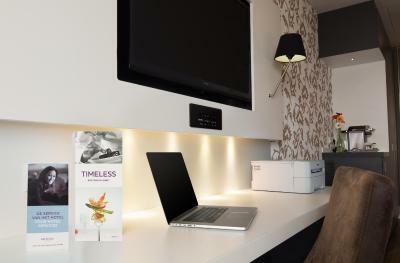 Spacious modern room, hassle-free wifi. Parking garage handy and cheaper than rest of town. Very clean and functional rooms. 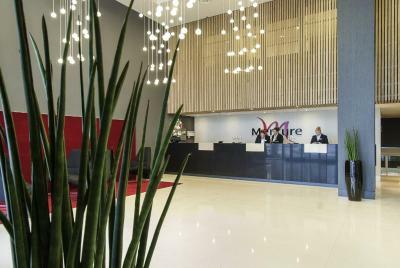 The staff at the front desk was very helpful and friendly. 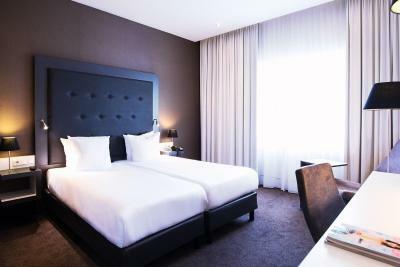 Room is quiet, shower is good and spacious, bed is comfortable. Guests can make use of the big gym from the building which is also very nice. 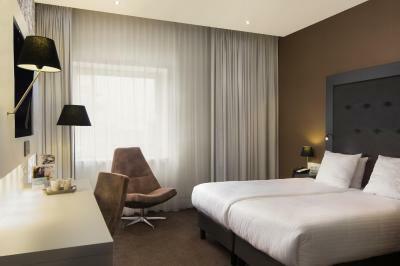 Mercure Hotel Amersfoort Centre This rating is a reflection of how the property compares to the industry standard when it comes to price, facilities and services available. It's based on a self-evaluation by the property. Use this rating to help choose your stay! 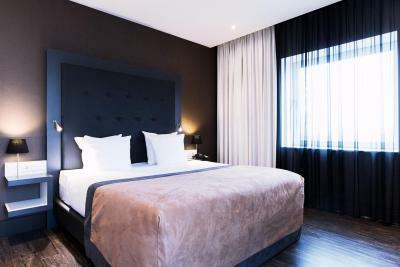 One of our top picks in Amersfoort.Located in the center of Amersfoort, this 4-star hotel offers free Wi-Fi and modern rooms. The A1 highway is a 10-minute drive. 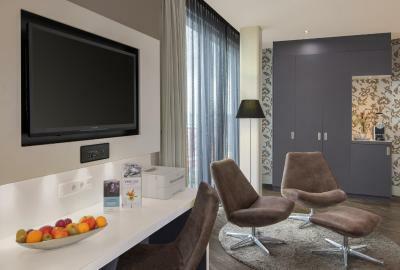 Central Station is 1,950 feet from Mercure Hotel. 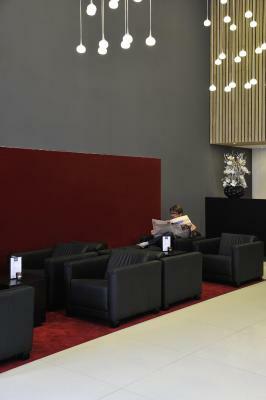 Each modern room is decorated in a light and dark contrast. 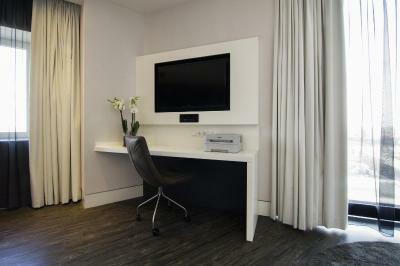 They feature a flat-screen TV, work desk and air-conditioning. The bathroom is fitted with a shower. 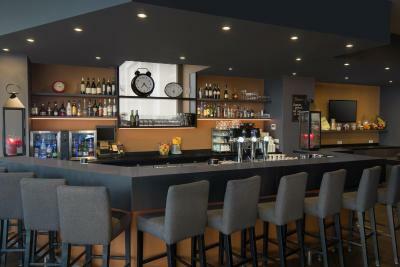 In the hotel's bar TIMELESS you can enjoy the view of Amersfoort and there is a wide range of international drinks. 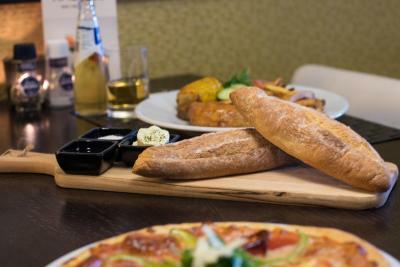 In restaurant 'Clockwise', guests can enjoy an a la carte dinner with a new menu for each season. 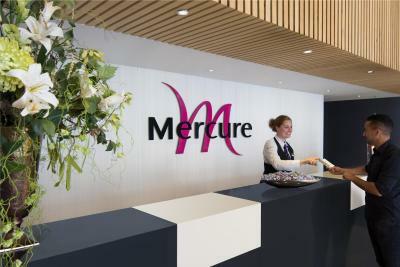 Mercure Hotel Amersfoort Center offers a 24-hour front desk, terrace, laundry and dry cleaning services. Shops in the hotel are offered as well as a business center. 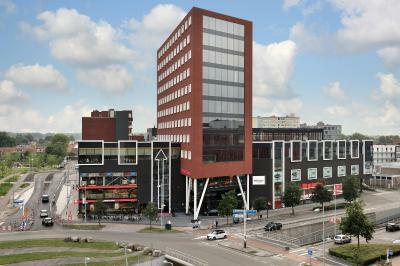 The University of Applied Sciences Utrecht and Pathé Cinema are directly across the street. 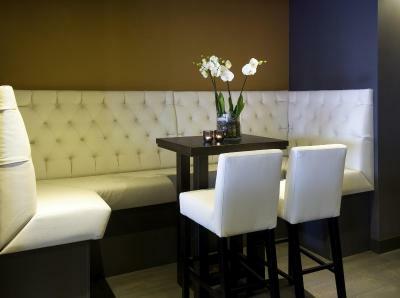 The lively Hof is a 11-minute walk from Mercure. The A28-highway is 11 minutes by car. 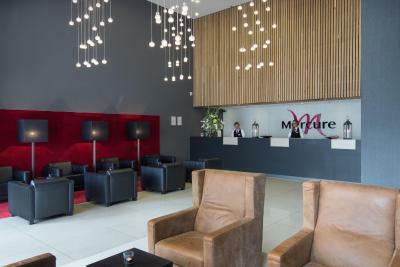 When would you like to stay at Mercure Hotel Amersfoort Centre? 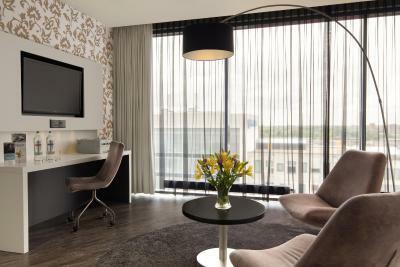 This room features a desk, a 42-inch TV, free WIFI, tea and coffee-making facilities, a refrigerator, a safe and a bathroom with a rain shower. 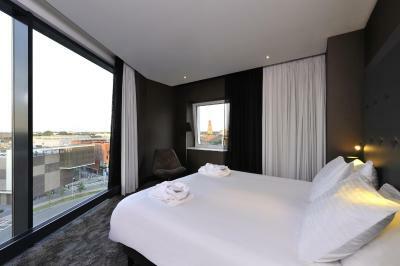 This extra large Privilege room features a walk-in shower, laptop safe, Nespresso machine, flat-screen TV with media hub and a seating are with a City-view. 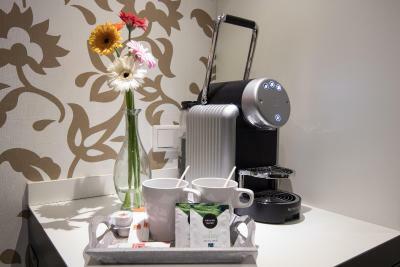 This suite features a walk-in shower, a laptop safe, a Nespresso machine, a flat-screen TV with a media hub, a two-person whirlpool bathtub and a sitting corner with a view. This spacious room has luxury design. It features a printer and a media-hub which allows you to listen to music, and play your own pictures and movies. 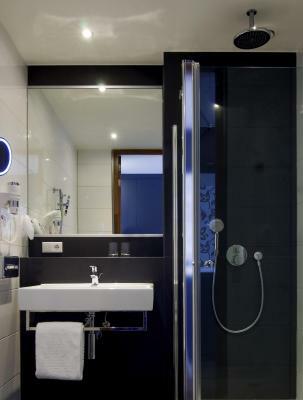 The bathroom is fitted with a shower and a bathrobe is provided. 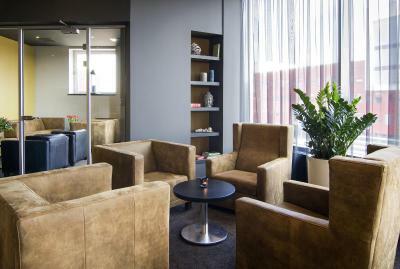 The property is situated directly next to the centre of Amersfoort. Its only a 5 minutes walk into the centre where various restaurants are open for lunch and dinner. The staff will do its utmost to achieve the goal of giving you an excellent service. You will never get no as an answer when you ask for something special. We will do our utmost to arrange whatever needed. 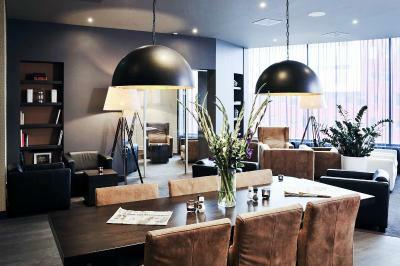 House Rules Mercure Hotel Amersfoort Centre takes special requests – add in the next step! 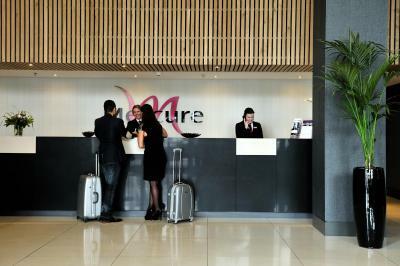 ATM card Mercure Hotel Amersfoort Centre accepts these cards and reserves the right to temporarily hold an amount prior to arrival. 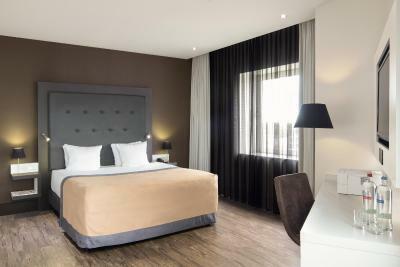 Mercure Hotel Amersfoort Centre accepts these cards and reserves the right to temporarily hold an amount prior to arrival. The entrance to the parking area is behind the hotel. 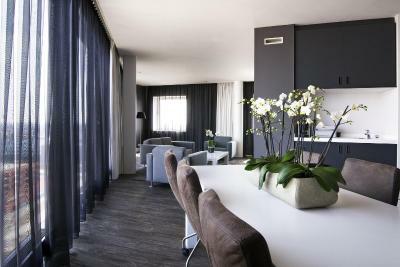 A deposit of 50 EUR per room is requested upon check-in. The rooms, or at least out room, was a bit noisy. Even though we were located at the end of the corridor we could still easily hear people walking up and down the corridor and waiting for the lift. Only minus I would say. Room was big and neat, bed was very comfortable and big, view was great, breakfast was nice! 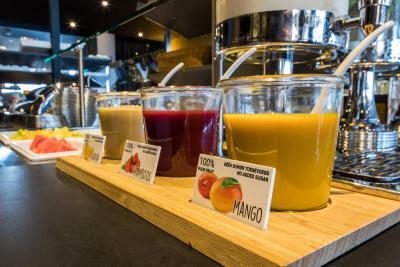 Location great short walk from the train station and next to a shopping center with loads of restaurants and some nice shops, big movie theater and not far from the center of the city. How we wish there would be even a small micro wave oven as sometimes because of coooold weather, we would love to heat up soup...tried having your kitchen people warm my food and warned us ...it will be the last time they will warm our food... we from Spain have late meals so we are use to late lunches and dinners... so if u had a micro wave then it would be an asset for guests...not a luxury...but necessity . Thank You. The reception staff...nice and welcoming. It's location and comfort and size of room. -the hotel room cleaner never got chance to clean our room. - the pillows were very uncomfortable - the duvet Single and too thik - there was no pillow for my daughter. And - The towels Were dirty. 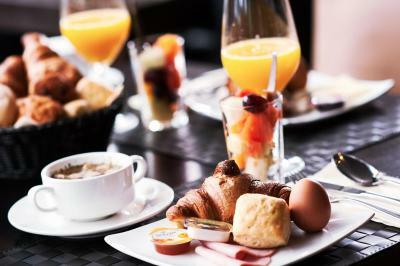 - there were not enough option For breakfast. Vegi. Not being able to stay longer! 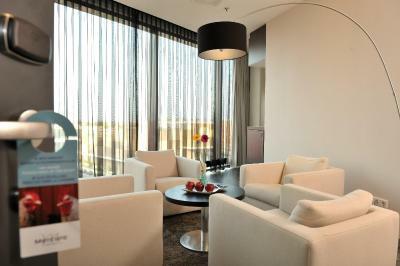 Staff is friendly, rooms are very comfortable And clean. As I was travelling on my own I tend not to like eating in open restaurants and eating in the room would have been over 7 euros just for the room service so ended up eating 'fast food'! 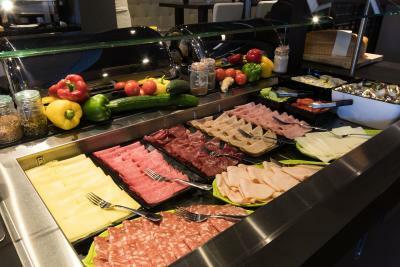 Breakfast is expensive at 17 euro. I would have liked a quick cheaper breakfast option. 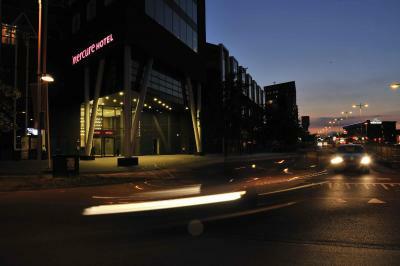 The hotel is located near to the old town and a 10 minute walk from the railway station. The suite that I stayed in was excellent. Very large Jacuzzi! Staff very pleasant. Good staff and great location. Great location and spacious rooms. Breakfast was very good.